We are delighted to have been recognised by an external review as being an area of excellence, “The learning is highly individualised for all children through bespoke targets, target cards and data which is continually assessed and monitored. There is a strong and effective communication with the Ellacombe Academy Family Support Team, the SEND team and parents, involving them at every opportunity”. The Early Years Foundation Stage makes a crucial contribution to children’s early development and learning. We provide children with a rich variety of teaching and learning experiences that are appropriate to their needs. 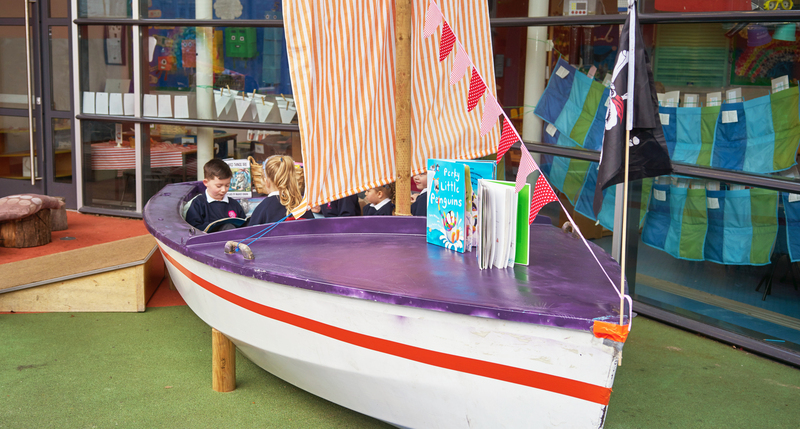 The Foundation Stage is all about developing the key learning skills such as speaking and listening, concentration, attitudes to learning including the social and emotional aspects of learning. We offer exciting areas for independent child initiated activities and high quality teaching and learning both indoors and outdoors and creative development is constantly extended with a variety of art and music opportunities and imaginative play.